I finally wanted to read a classic because it's been ages since I read one. The Idiot was a very social novel focusing a lot on the Russian society back then. The idiot, Prince Myshkin, has just returned to Russia from Europe where he spent most of his life being treated there for epilepsy. He's a kind soul and very truthful. While he's in Russia he meets all sorts of interesting characters, specially the Espachins. I won't go into much detail but I love the Espachin family. They're just like a family you would find in today's world and you can definitely relate them to the madness of your own family (if they were mad that is). They're passionate and just unique. I felt that these most interesting characters made up somewhat for what the novel lacked which was a good plot, I know Dostoevsky was trying to say something about the Russian society but I felt that he could have done more with it, or I suppose he simply didn't because he wanted it like that. I really love the Russian society back then, I've only read 4 novels so far about that time but I just love love love the characters and their passion. How they can be very whimsical and very determined. It's very different from the classics about English society, though that has its own charm, but it's less about the language and more about ideas, people, the soul and how they always seem to be discussing how Russia could be better. Crime and Punishment and The Brothers Karamazov were far better in my opinion. 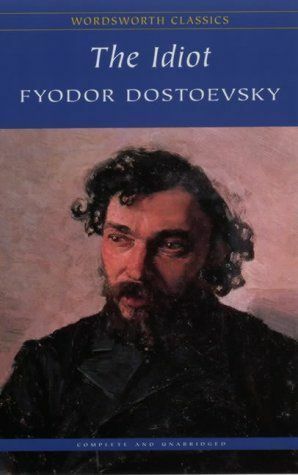 I'm not all that disappointed because I had no expectations of it to begin with but I can't help thinking it didn't measure up to Dostoevsky. "But people will laugh at all sorts of things". "If he's alive he has everything in his power! Whose fault is it he doesn't understand that?" "But I'll add, that there is something at the bottom of every new human thought, every thought of genius, or even every earnest thought that springs up in any brain, which can never be communicated to others, even if one were to write volumes about it and were explaining one's idea for thirty-five years; there's something left which cannot be induced to emerge from your brain, and remains with you forever; and with it you will die, without communicating to anyone perhaps the most important of your ideas." "One can't understand everything at once, we can't begin with perfection all at once! In order to reach perfection one must begin by being ignorant of a great deal. And if we understand things too quickly, perhaps we shan't understand them thoroughly"
I LOVE awi!!! :D I missed your reviews SO MUCH DUDE!!!! Loved the quotes you chose ;) I think you'll love the quotes I'm picking from Fahrenheit 451 lol. I totally loved the quote about ideas, it's so freaking true! I can't wait to read ur quotes, the fact that u take time to put up quotes from places other than books is amazing wallah, and I love all of the quotes you put up, they're so relatable to. I'm really glad you liked my review, :D :D :D :D I missed reviewing books. And I got sick of the old template so I got this one from a link that's in one of your blogs so it's thanks to you really.